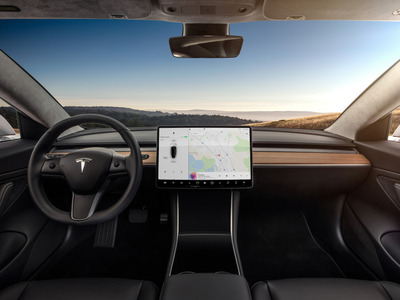 TeslaThe interior of Tesla’s Model 3, which has a 15-inch touchscreen display. Tesla is the premier, aspirational car brand for millennials. The company’s appeal is rooted in its ability to create a narrative that extends beyond traditional cars to renewable energy, space exploration, and self-driving vehicles. The Model 3’s tech features make the car particularly appealing to millennials. But unlike traditional, aspirational car brands, millennials aren’t attracted to Tesla because it implies wealth. They like Tesla because the company cares about more than cars. “I think Tesla, to a lot of millennials, is more than just a car brand. It’s a lifestyle,” Kelley Blue Book executive analyst Akshay Anand told Business Insider. Anand said Tesla’s appeal to millennials is rooted in the company’s ability to create a narrative that includes renewable energy, space exploration, self-driving vehicles, and other developments that could produce wide-ranging benefits for the human race. Anand said millennials “tend to be very cause-centric” and “care about what companies stand for,” which makes Tesla CEO Elon Musk a perfect cult figure, and could explain why Tesla was ranked as one of millennials’ favourite brands, according to a 2017 survey. Musk’s ambitions, which include revamping global energy grids and starting colonies on Mars, may reach further than those of any American business executive. He represents the potential for a business culture that cares about more than profits – though it doesn’t hurt that he makes beautifully-designed electric vehicles that look like sports cars. But Tesla’s early vehicles – the Roadster, Model S, and Model X – were expensive, starting above $US70,000 and able to hit $US100,000 with optional features. So in order to convert young Tesla evangelists into Tesla customers, the company had to make a car that was affordable to those whose salaries and savings accounts didn’t justify the steep price tag of a Model S or X. Enter the Model 3, which starts at $US35,000 and has received a “strong response from millennials,” according to Anand. While Tesla is working through significant production delays with the vehicle, early reviews from customers who have received it tend to be positive. The car’s handling and acceleration are appealing to owners of all ages, but the car’s tech features have a particular appeal among millennials. For the Model 3, Tesla removed the instrument cluster to bring even more attention to a 15-inch touchscreen display that controls many of the car’s interior features. The Model 3 also includes some of Tesla’s standard tech features, like over-the-air updates and an Autopilot system with semi-autonomous features that can be used in some situations.